If you are looking for a quick and easy way to slice up a basket of strawberries, consider using an egg slicer. This is a guide about slicing strawberries. 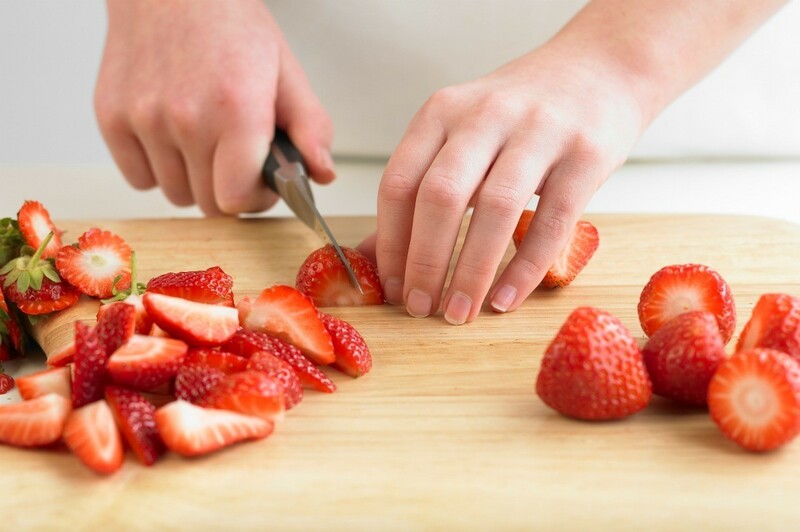 The fastest, easiest way to slice strawberries is to use an egg slicer. Wash, drain, take the cap off the strawberry, position the berry in the egg slicer and depress. Upend the slicer contents into a bowl. You're done! No more juice running down your arm! Best of all, the berry slices are all uniform and release their juice so much more quickly. The results are beautiful. And it's a good way to let the younger kids help without handling a sharp knife. Great idea! I've never thought of that before. I've found the easiest way to "core" a strawberry is to use a straw. Just push a straw up through the middle from the bottom and it takes the top right off, much faster and easier than trying to cut the tops off of all of them! Where can I buy a strawberry slicer? I'm not good with a small knife and ruined an egg slicer when attempting to use it for slicing strawberries.